The White House, Colleen Curtis - On December 4, the President welcomed the 2011 Kennedy Center honorees to the White House for a ceremony before the live performances at the John F. Kennedy Center for the Performing Arts. JEFFERSON CITY, Mo. -- The Missouri Highway Patrol says three people died in traffic crashes over the long holiday weekend. The death toll is one more than last year, but according to the patrol, the number of crashes it investigated declined sharply over the counting period that began Friday night at 6 pm and ended Monday at 11:59 pm. The patrol investigated 213 crashes during the counting period. Last year, the Highway Patrol investigated 487 traffic crashes over the holiday period. Warrenton, Mo – Tuesday night’s game at Warrenton is one New Haven will want to forget. The Rocks were held to just 24 points and only 2 points in the fourth quarter. New Haven lead by three with a minute left in the third and had two possessions to make it at least a five point game, but were not able to take advantage. During this year’s Hot Air Balloon Race, we teamed up with Pepsi to bring complete coverage. During our flight in the Pepsi Can Balloon, we streamed live video to give everyone a chance to see New Haven from high in the sky. The day after Christmas is the second busiest shopping day of the year, with black Friday being number 1. We have searched through some of the biggest retail store’s online site to help you find the best deals. This past Thursday was the last day of school before the start of Christmas break for students at New Haven Elementary. Students and teachers had all been looking forward to this day, not because it was the last day before break, but for the Annual Team Shamrock Christmas Celebration and Fancy Lunch. Our eighth top story of 2011 is one conversation we will never forget. The next time someone thinks about committing a crime in New Haven, they will not just be hiding from the police but an entire neighborhood. Crime occurs in small towns, but there are ways citizens can help to reduce overall crime and apprehend those that do commit a crime. Since girls basketball had begun in 1997 only three players had ever scored 1,000 points during their high school career at New Haven. Pictured left: Oetterer scores points 1,000 and 1,001. 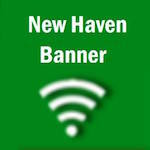 On Wed., Nov. 30, 2011 Kayla Oetterer became the fourth player to reach such a milestone, forever leaving her mark on the New Haven Girl’s Basketball Program. New Haven, Mo - This past Nov. the documentary, Tradition of Excellence – 100 Years of New Haven Basketball was unveiled. After the premier on Fri., Nov. 11, 2011 it was announced that New Haven’s Basketball program would be inducted into the Missouri Sports Hall of Fame, only the second high school to ever receive such an honor. During the past six months we have covered and written stories ranging from how the Annual Hot Air Balloon race began, to delivering breaking news as it was happening, such as the house fire on Sept. 8 on McNair Street, which is number 10 for Top Stories of 2011. Washington, Mo. – Yesterday afternoon at approximately 1 p.m. Washington Fire Crews responded to the 200 block of Fifth Street for a commercial first alarm with reports of visible flames coming from the backside of Hardee’s.